Welcome to my stop along the creative blog tour for Jodi Meadows’s As She Ascends, book 2 in the very dragony The Fallen Isles trilogy (read my review for book 1!). I’m reading and loving this book right now, and am excited to share my review with you next week! For now, let me show you some of the fun dragon nail art designs I’ve seen around the Internet lately. I wish I was could re-create some of these myself, but I’m lucky if I’ve got a solid color on my nails that’s not half peeled-off! Read more about the book and Jodi Meadows, the As She aScends pre-order campaign, and enter the giveaway below for a chance to win handmade knitted dragon mitts by Jodi Meadows, a signed paperback of Before She Ignites (book #1 in the trilogy), Mira and Lala magnetic bookmark, and a Hopebearer Candle by Cornerfolds Candles! If you order multiple books, then you get multiples . Just be sure to point it out at the top of your email. This is available to international readers. ebooks and physical books count. Enter to win an As She Ascends prize pack, available within the US only. Hopebearer Candle by Cornerfolds Candles. 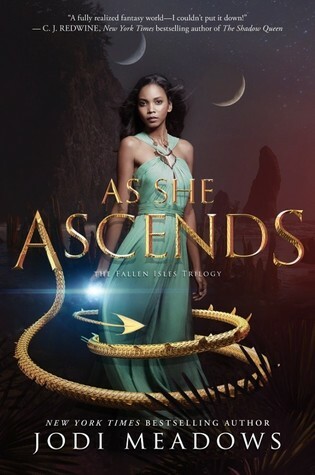 I haven’t read As She Ascends yet, but it sounds pretty cool and it’s been a while since I’ve read anything with dragons, which is a shame, so I’m adding it to my TBR! But I have to admit that I’m IN LOVE with that last nail art! OMGGG, it’s so beautiful! <3<3<3 they're all awesome, but that last one is just glorious. Those are some really cool nails. I would worry all day I would mess them up though. *looks down at nails* yeah, these really need some dragons.